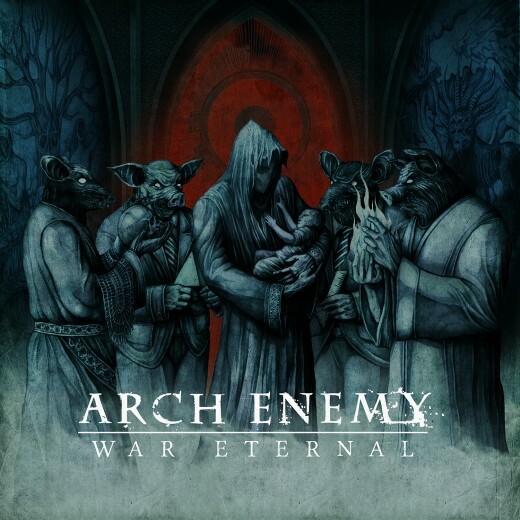 Arch Enemy is a Swedish melodic death metal band, originally a supergroup, from Halmstad, formed in 1996, whose members were in bands such as Carcass, Armageddon, Carnage, Mercyful Fate, Eucharist,and Spiritual Beggars to name a few. Founded by Carcass guitarist Michael Amott along with Johan Liiva, both originally from the influential death metal band Carnage. The band has released seven studio albums, a live album (Burning Japan Live 1999), two DVDs and three EPs. The band was originally fronted by Johan Liiva, who was replaced by Angela Gossow as lead vocalist in 2000.